Folk psychology is often seen as a conceptual framework for our understanding of the mind. If so, then what does it tell us about the concept of mind? Does folk psychological vocabulary play a fundamental role in mindreading? Are folk psychological explanations autonomous? 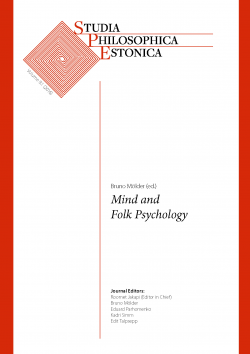 This issue is dedicated to these and other topics associated with folk psychology, mindreading and the mind, such as self-knowledge, pre-linguistic understanding of others, normativity, infant and chimpanzee mindreading, pain and emotions.